Form is an atmospheric, sci-fi puzzle game that presents varied challenges in a beautiful environment, but often grows tedious. The protagonist is a scientist, working tirelessly in hopes of an unspecified breakthrough. He succeeds in cracking the code of an ominous monolith, but could not have expected the otherworldly, psychedelic adventure that he would soon embark on. While this game is a one-of-a-kind experience, it suffers from an unsatisfying lack of context, and some puzzles have design flaws. Without exception, the visuals in Form are absolutely stunning. 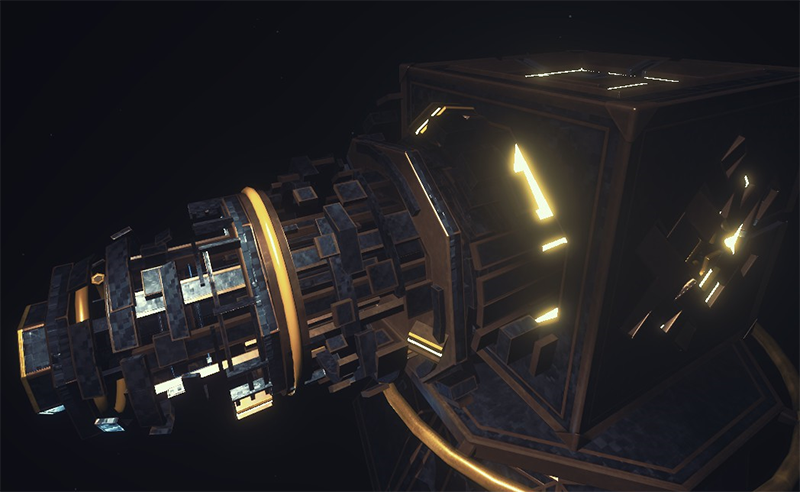 Form is based around puzzles, presented in a surreal and avante-garde sci-fi environment. It’s hard to describe any particular puzzle without spoiling them, but their best aspect is their unique and abstract stylistic choices. In Form, the player can plug squirming alien technology into complex systems, disassemble bizarre and intricate machines, and many more. While simple graphic design factors like these aren’t typically what make a game great, they are animated to perfection and are incredibly satisfying to tinker with. This is helped by Form’s exceptional graphics and immersive, pleasant sound design. Every single moment was an absolute joy to experience. The puzzles themselves are challenging and unique, requiring a moment of thought before having a sudden moment of realization. They all feel appropriate, befitting their superb animations. Puzzles aren’t always consistent, however- some are far too easy, and some drag themselves out way too long. Some puzzles start out excellent and difficult, but once I found their solutions, it took a tedious amount of time to fully execute it. In moments like these, otherwise great puzzles far overstay their welcome. There isn’t a bad puzzle in Form, but almost all left me bored before moving onto the next. While they can get tedious, puzzles make up for this by being extremely well-varied throughout the entire game. They may individually last longer than they should, but each successive puzzle is entirely different than the last. Not a single puzzle mechanic is repeated throughout the game. With the exception of some simple tasks, many puzzles in Form could individually be stretched out into an entire indie game. Put together into a lengthy collage of diverse challenges, I never knew what to expect throughout each level. Although I was at risk of being bored by the end of each puzzle, I was always excited to see what new mechanics I could find in the next. Form took me around an hour to complete, which is decent but unimpressive for a puzzle game such as this. The whole experience runs smoothly and fully immerses the player, with a well-made and intuitive user interface. The only thing that took me out of the experience was Form’s misguided attempt to emphasize its story. The intro sequence gives you an impression of the protagonist’s personal life, before thrusting you into an alien dreamscape. There are also short, occasional cutscenes that attempt to add to the story. By the time I’d beaten the game, I realized that these moments were unnecessary. Form tries to construct an interesting narrative, but falls flat, leaving me with no emotional investment in the protagonist or his backstory. The game’s great puzzles, environment, and animation all feel as if they’re built around a story that is hardly there. Form is too abstract for its own story, leaving me with more questions than answers. Form also features a music-driven game-mode, with a laser-based instrument that behaves like a piano. This is a cool addition, contributing to the experience as a whole with relaxing musical elements, but the instrument isn’t very responsive and this mode soon loses its charm as a result. What would I pay for it? 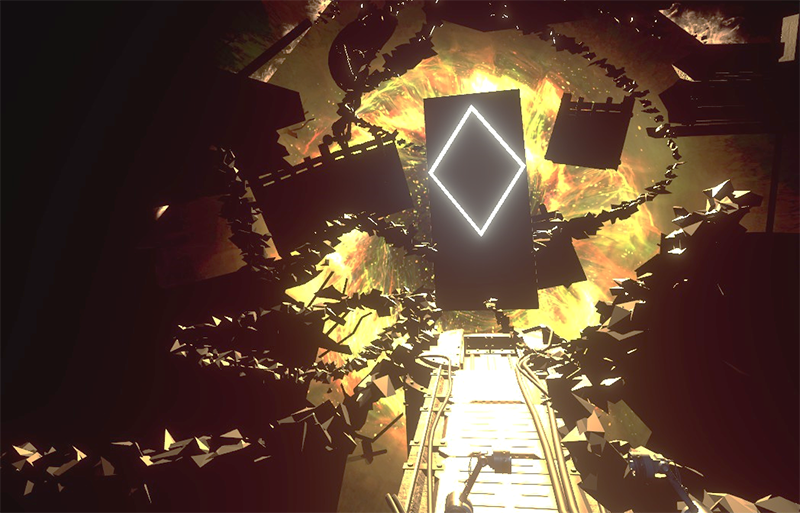 Form is a one-of-a-kind sci-fi puzzle game that provides a hauntingly trippy experience like no other. It’s puzzles are varied and thoughtful, despite occasionally feeling dragged out. Form’s story may be underwhelming, but its environment and animation design alone are worth experiencing. For $15, however, one hour of gameplay may not be enough. I probably wouldn’t spend more than $10. Form is worth experiencing for any fans of puzzle games, but preferably if it can be found on sale. Charm Games provided The VR Grid with a review code for this title and, regarldess of this review, we thank them for that!